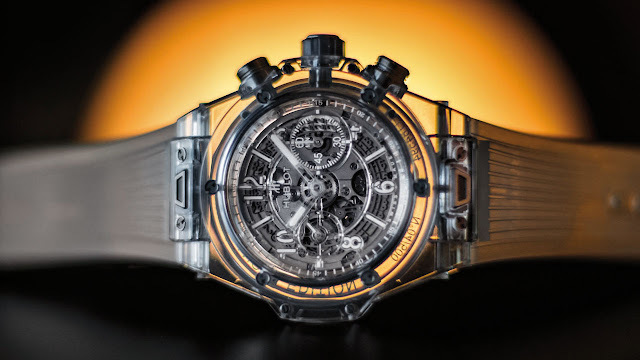 After several series of totally black and opaque watches, Hublot goes in the completely opposite direction by focusing on absolute transparency. 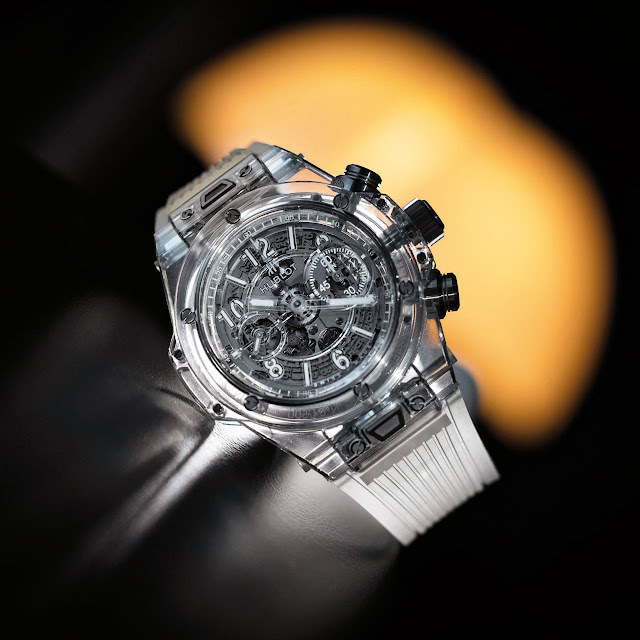 Bezel, case, caseback and crystals: the case of the Big Bang Unico Sapphire is entirely made from the watch industry’s hardest material: sapphire. It is indeed so hard that only diamond can scratch it. One can thus easily imagine the difficulty involved in machining it to make a case and the hundreds of production hours required, especially with the complex shapes of the Big Bang. The Manufacture Hublot UNICO calibre appearing beneath the transparent dial and visible from all angles has never been so full revealed, notably including its column-wheel at 6 o’clock. This 500-piece limited series heralds a new era for sapphire cases. 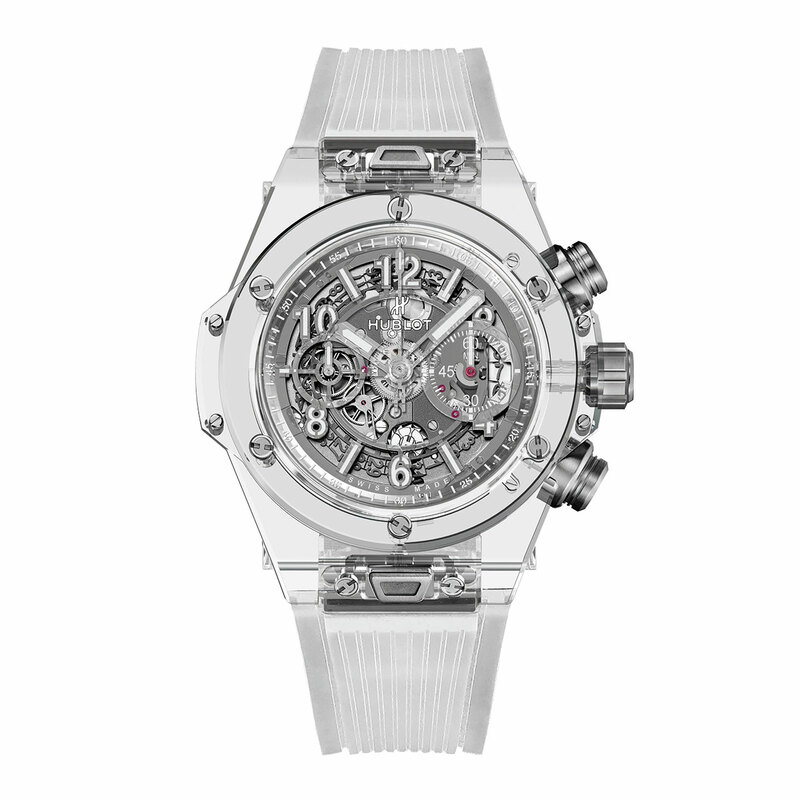 Hublot is reserving this special edition for fans of chronographs, of the Big Bang concept, of transparency… and of watchmaking itself.